In the aftermath of the massive earthquake that struck Anchorage on Friday morning, Anchorage School District superintendent Deena Bishop announced that classes have been canceled through Friday, Dec. 7. The tentative first day back for the district’s estimated 48,000 students is Monday, Dec. 10. 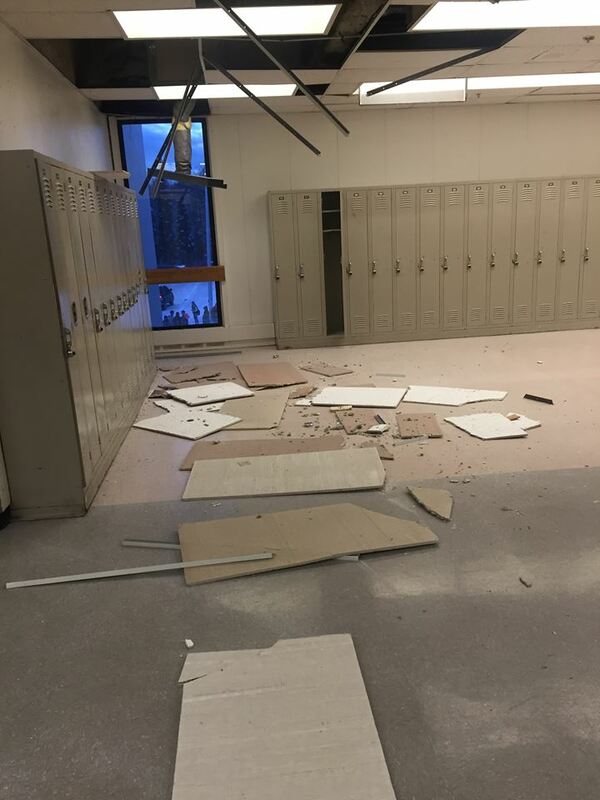 While initially, ASD facilities were announced to be reopened this Wednesday, the 5th, the district is still working through clearing out all of the schools of damage from Friday’s magnitude 7 earthquake. Kelly Kass works for the school district and has been leading some of the cleanup crews in the schools. “Wednesday might have been a little aggressive on some of the schools, but now with the additional we’re trying to do the best we can to get every school open,” Kass said. 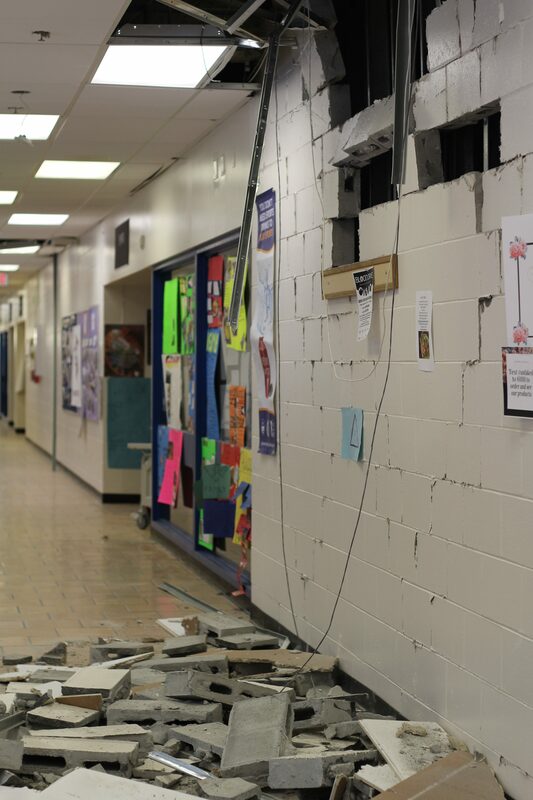 Most of the damage in the schools either comes from structural damage, like ceiling tiles falling, or from water damage due to burst pipes and sprinkler systems. Kass says Dimond High School is an example of a school with major water damage. “We had some extensive heating leaks and then also sprinkler pipes that were broken, and a couple water lines, so that’s where we got lots of water in the hallways,” Kass said. Superintendent Bishop says the schools are being coded as red, yellow or green-tagged — with red being seriously damaged and unsafe to occupy, yellow as damaged with cleaning and repairs in progress and green as safe to prepare re-use. On Monday morning, the school district met with all of its principals to let them know the damage status of their respective schools. Deputy Superintendent Mark Stock says the plan is for green-tag schools to begin allowing staff to be escorted through their schools to collect items they may have left behind while evacuating the schools. That would happen on Tuesday from 11 a.m. to 1 p.m. A timeframe for students and parents to pick up items has been set from 1 p.m. to 3 p.m. Superintendent Bishop says that parents and teachers should notify their school’s principal if there is an individual need to recover personal or important items. As for college students, University of Alaska Anchorage Chancellor Cathy Sandeen announced on Sunday that UAA’s main campus will be reopening on Wednesday, December 5. The Eagle River will remain closed on Wednesday, but classes will resume in alternative spaces. Update: This story has been updated with links to information on the damage status of individual schools.